As the only accredited Cancer Care Network in Colorado, Centura Health has expert cancer specialists that can offer the most advanced tools in a fight against cancer. From screenings that can detect the earliest signs of cancer to innovative treatment options that offer superior outcomes, our cancer care team is committed to providing you with the best care possible. No other provider in the region offers more far-reaching care. Learn more about the Centura Health Cancer Network & read our Annual Report. 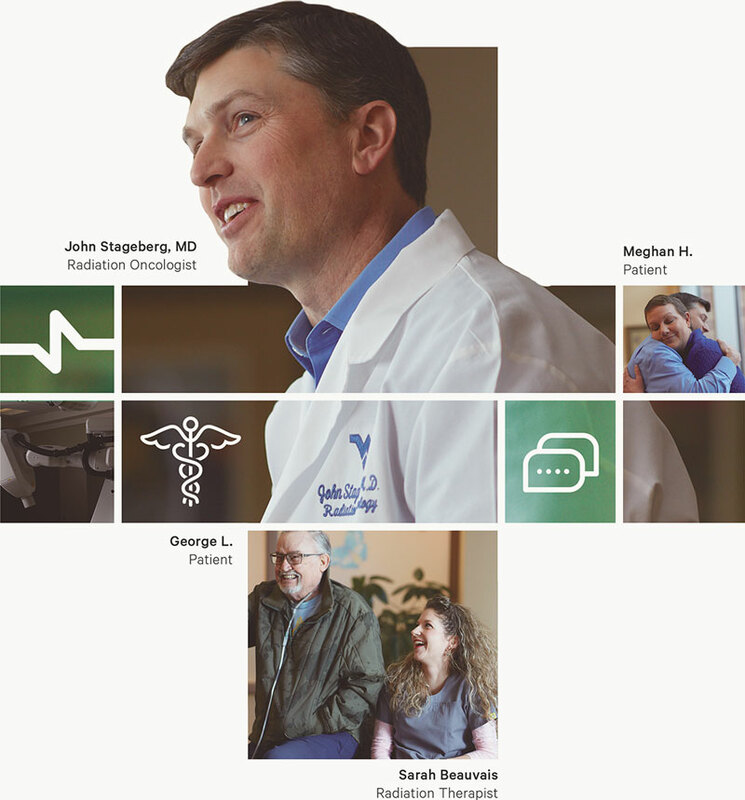 The certifications mean access to the nation’s top cancer specialists, along with access to treatment guidelines and best practices developed by MD Anderson—combining the best of what we do in Colorado and Western Kansas with the expertise of a national leader. Catching cancer in its earliest stages can lead to more effective treatment and a higher rate of survival. Learn about some of the most common screenings used for early cancer detection. Cancer can be caused by many factors, some of which are out of your control. However, some risk factors that increase your likelihood of developing certain cancers are preventable. After skin cancer, breast cancer is the most commonly diagnosed cancer among women in the U.S. The breast cancer specialists at Centura Health are experts at diagnosing and treating breast cancer at all stages. We also offer breast reconstruction, breast cancer support groups and other services not found at many other cancer centers. Lung cancer is one of the most dangerous forms of cancer and is the leading cause of cancer deaths in the U.S. Early detection can be vital to successfully combating this terrible disease. Smoking is a major contributor to lung cancer incidence; quitting smoking greatly reduces your risk of developing lung cancer. Colon and rectal cancers often start as small polyps that may take years to develop into cancer. At Centura Health, your treatment for colon cancer is personalized to create the best possible outcomes. We offer advanced treatment options, including minimally invasive and robotic surgeries that can provide successful treatment with fewer risks and a shorter recovery. Prostate cancer is often a slowly developing cancer that typically has no symptoms in the early stages. The prostate cancer specialists at Centura Health are experts at detecting even the earliest stages of this disease and offer advanced treatment options to combat it.